These are so delicious just bananas and Nutella. I put two bananas and about a third of a cup of nutella in my magic bullet. I added just a little bit of liquid, in my case almond milk, as needed to make it easier to blend. 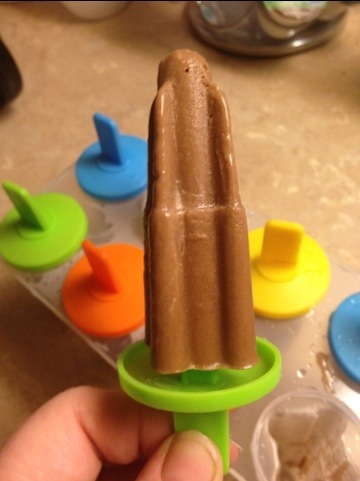 Then I just poured them in my Popsicle molds and waited. My three year old hasn’t eaten a banana in at least six months and he’s had three of these already. A good healthy frozen snack for grown ups to.